The most obvious shared design is in the lower rear intake, which is cribbed directly from the LFA, but even the general profile is similar, despite the fact that the LF-LC has two rear seats. 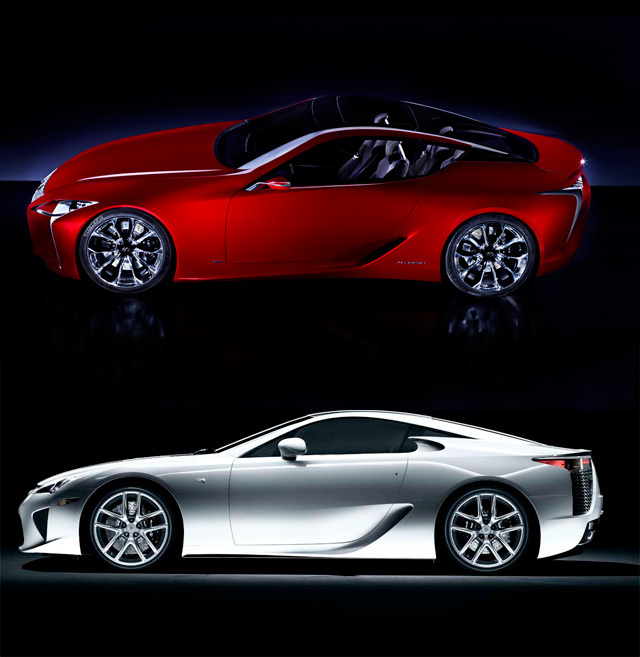 The silver edges that highlight the front and rear are also reminiscent of the Lexus supercar. 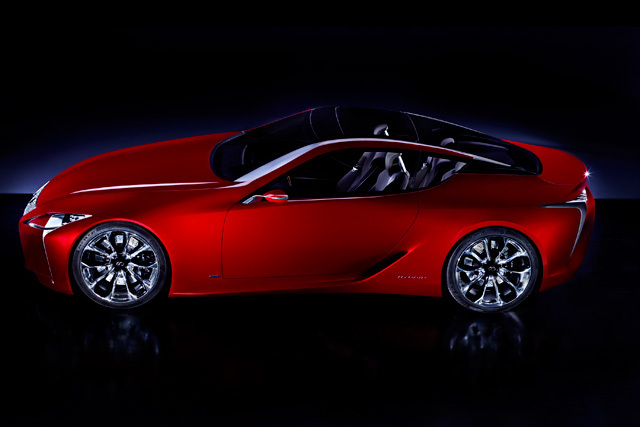 There’s an element of the roof design seen on the 2007 Toyota FT-HS concept, but in the case of the LF-LC, the all-glass roof appears to be in the traditional targa-style, with the top-most panel removed rather than folded in. Appearances, of course, are very deceiving. My eyes immediately caught on the words “design exercise”, which would suggest there’s no immediate production plans — however, a quick read over the LF-Gh press release shows the same sort of phrasing, describing the GS concept as an “exercise” in design, even though it was released as production model just four months later. 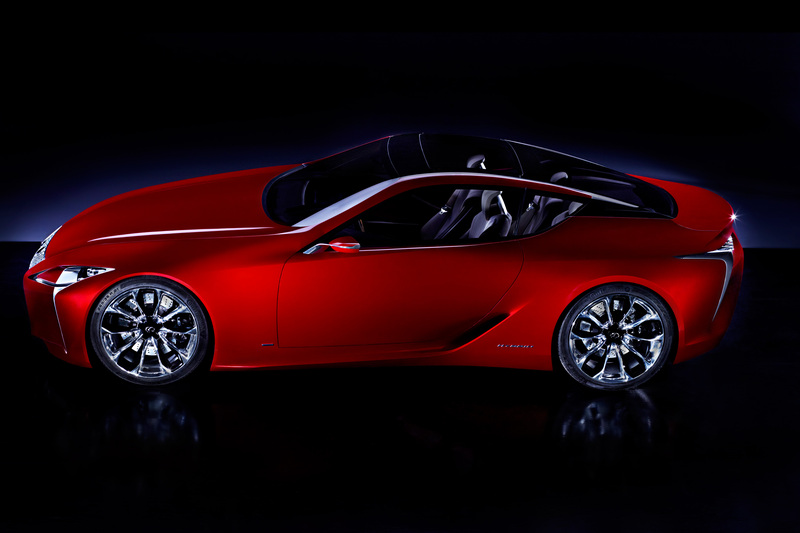 So what is the LF-LC, and what does it mean for the Lexus lineup? It’s difficult to say, especially when there’s only one leaked video and three teaser images — however, if this concept is directly related to an upcoming production model, we could be looking at a car that can truly bridge the gap between the LFA and the rest of the lineup. Very, very exciting — the Detroit Auto Show can’t come soon enough. custom research paper: wow! Cool car! Cindy Levenburg: Wow, what a beauty!!! Love the roof lines. honeymoon packages maldives: Thank you for sharing this article. I love it. Keep on writing this type of great stuff. ydooby: Think you're right. Good find.